BEND, OR -- A robot named 'Relay' is making its debut in Central Oregon Monday, at an event hosted by OSU Cascades. Todd Montgomery of OSU Cascades is leading the hospitality technology showcase where Relay will be guest of honor. He says Relay is supposed to not just be totally interactive, but also to make people happy. "There's a lot of thought that engineers in this company and in other companies have put into this interaction with humans. From my understanding, they went through multiple iterations and a lot of that was making an appealing design that wouldn't scare children, would be simple, I think the color, the lighting, it's really meant to be a pleasing presence in its delivery of its service." Montgomery says service industries have gotten away from face-to-face interaction, and he believes that robots will allow human staff to get away from their screens and focus on the guests. 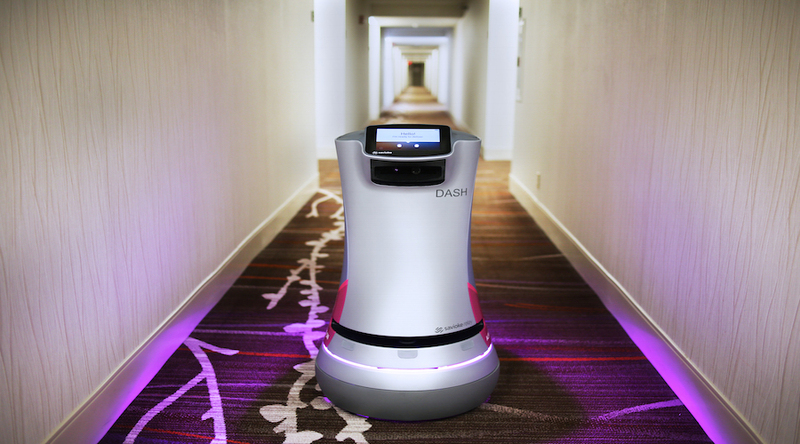 According to Montgomery, robot technology is essential to taking the hospitality industry to the next level. "This is commercially viable. And, this solves some of the challenges that we're facing. So, the labor shortage ... it's real! It's really hard to find staffing right now. You've probably heard and read many stories about how robots are taking jobs and what that's going to be like, and I don't think anybody knows the outcome of that, and we are just at the cusp of what's more to come. So, really, really some exciting things ahead." Over 100 hospitality executives are expected at Relay's debut tonight, which will take place from 5:15 to 7 pm in the dining building on the OSU Cascades campus.